We all have a writing area of some sort. Although, some are fortunate to have a study or specified room for writing, others, like myself, have adapted part of a room. 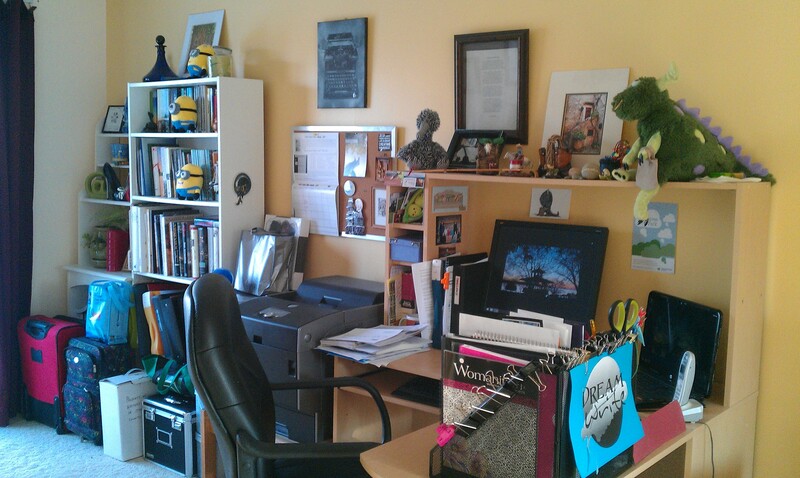 As I am presently re-reading Stephen King’s marvelous, On Writing, I thought an updated view of my writing space was in order. My initial ‘space’ was the seldom used dining room table. As you can see I have extended my dedicated space somewhat. This first photo shows neat shelving…which soon increased with a larger unit. As well as carry-all’s for transporting books and promotional items to events and author readings. 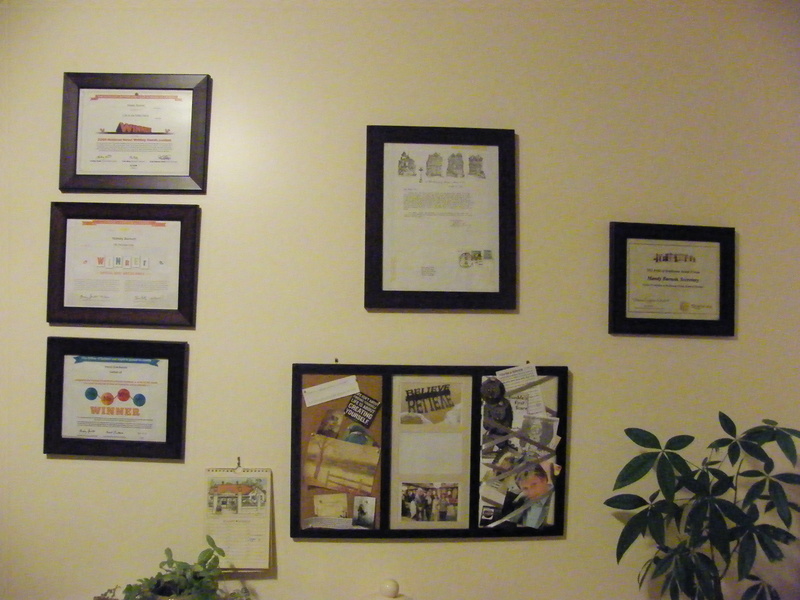 Inspiration wall has to be updated as well with two NaNoWriMo certificates. I just need to buy the frames and hang them up. 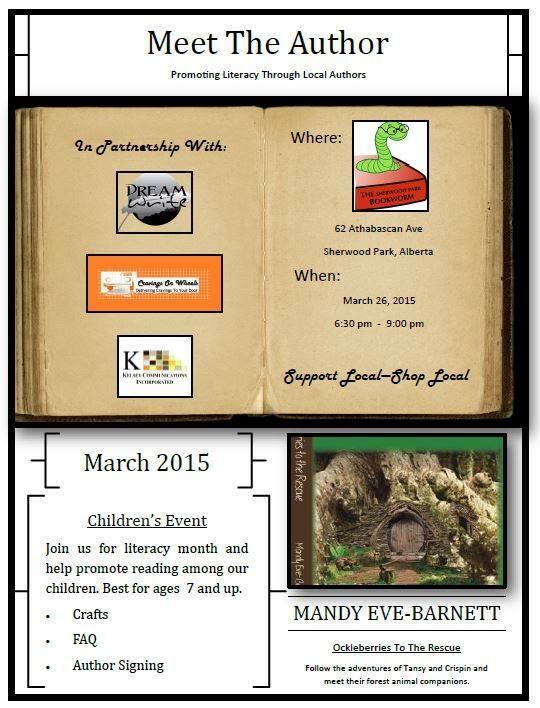 One such reading was at The Bookworm in Sherwood Park. I loved the promotional poster. 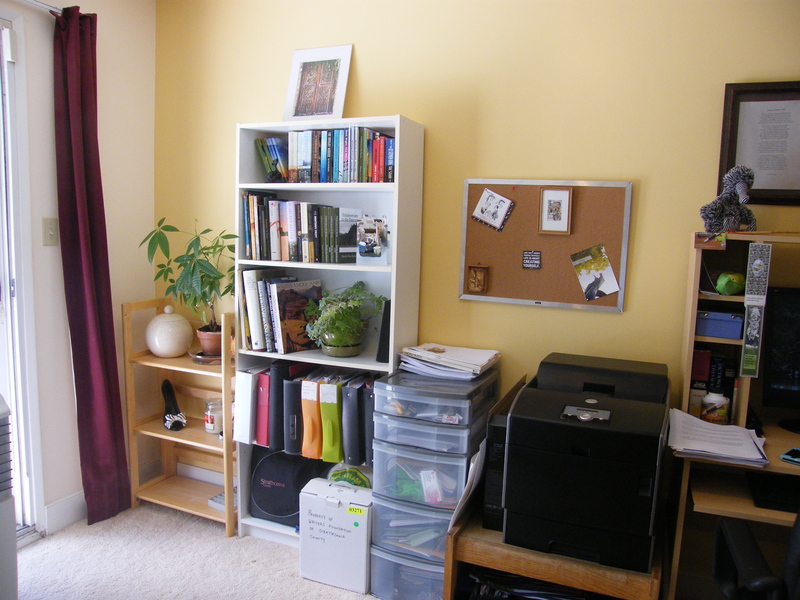 What changes have you made to your writing space? Care to share?